Concrete surfaces can be customized in so many different ways, from dyeing and staining to produce rich, vibrant colors, to troweling and polishing to create surface gloss and custom textures. Concrete Your Way also provides Toronto concrete engraving services throughout Toronto and the surrounding areas. 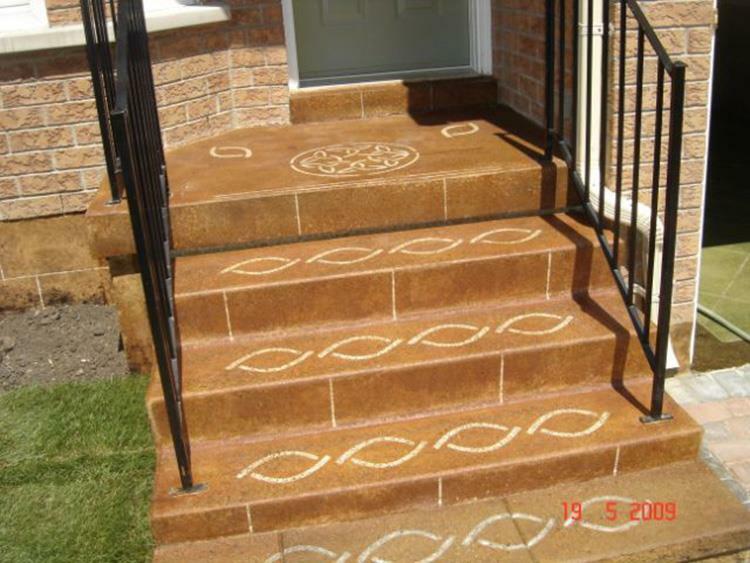 Concrete engraving is used to create custom logos, patterns and borders on concrete surfaces in residential, commercial, interior or exterior applications. Concrete Your Way’s system utilizes the latest industry techniques in concrete engraving to cut even the most precise patterns and shapes into concrete surfaces, leaving a customized, engraved pattern. Concrete Your Way’s team of concrete artisans also custom colors the concrete surface with acid stains and concrete dyes, giving you the freedom to create virtually any design of your choosing. Add your company logo to your business’s entryway, a decorative border to your living room floor, or a custom tile pattern to your driveway, the options are endless! Contact Concrete Your Way for more information on Toronto concrete engraving, stained concrete, polished concrete and more!